Eminem is set to take his latest album, Kamikaze around Australia later this month and now we finally have word of who he’ll be taking on tour with him. 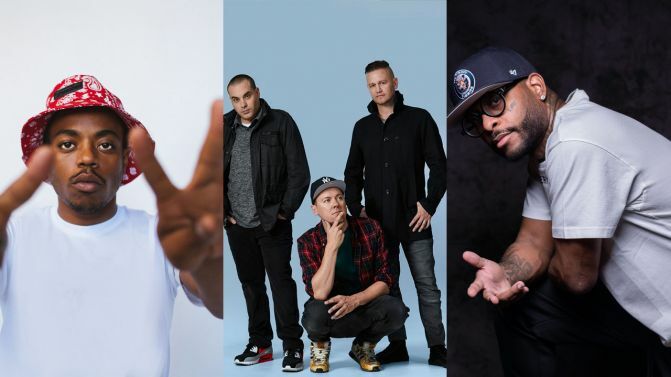 Australian faves, Hilltop Hoods will be joining the rapper alongside Royce da 5’9″ and Boogie. According to a press release, Eminem selected the supporting artists himself. Royce da 5’9″ features on Eminem’s Kamikaze track, ‘Not Alike’ and Eminem features on Boogie’s new album Everything’s For Sale — onstage collabs anyone? Royce da 5’9″ wrapped up his Australian headline tour in December. Eminem last toured Australia in 2014 and will next be performing in stadiums across Brisbane, Sydney, Melbourne, and Perth. Hilltop Hoods are set to release their new album The Great Expanse on Friday, 22nd February, meaning punters heading along to these shows may be among the first in the country to hear new Hilltop Hoods material live. Catch all tour dates and details below.